Read about - Barn Hill Beach Side Station Stay below. Barn Hill Beach Side Station Stay is on a Kimberley Cattle Station overlooking the Indian Ocean. We have friends who have stayed here several times and they advised us to come a look around this beautiful part of the coast. What a great spot for fishing, swimming or just walking along the beach. 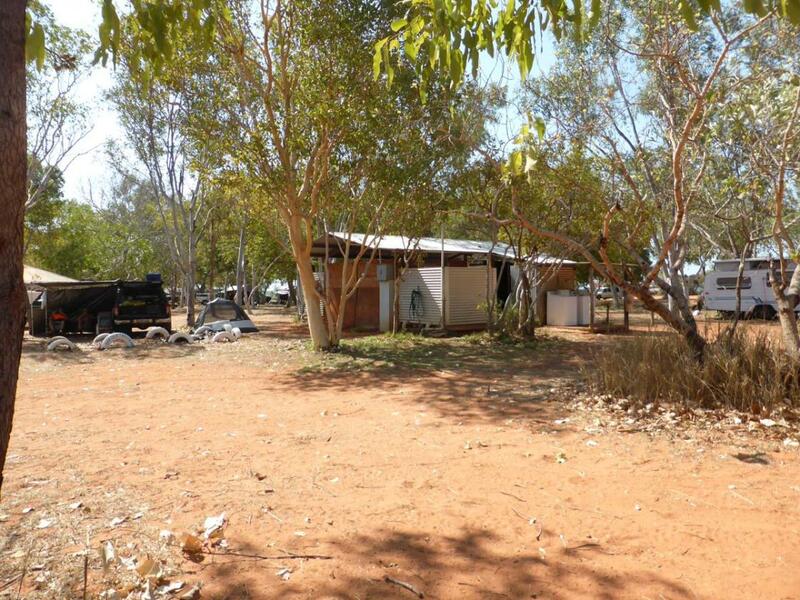 It is about 128 ks south of Broome along the Great Northern Highway and then 9 ks west on a dirt road. (This is a working cattle station so remember if you open a gate to drive through - then close it again). It looks likes a lovely peaceful place to stay and we have been told it can be very busy during the peak season - you will need to book. They provide powered or unpowered sites for caravans and campers (lots of shade) as well as some cabins that are fully self contained. have you been to Barn Hill Beach Side Station Stay? Explore Barn Hill Beach Side Station Stay - Barn Hill Station with RvTrips and find out where to stay, what to do and what to see. Helping caravan, motorhome and camper owners have a great holiday.